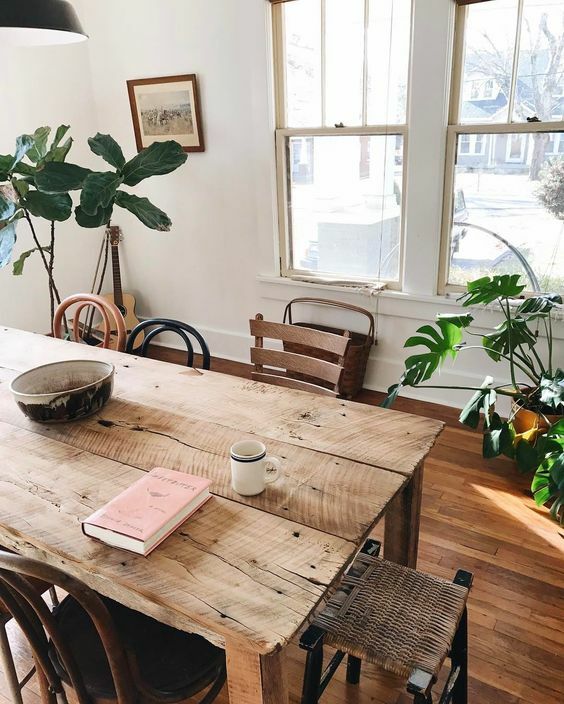 Instagram stars Kaitie and Tyler Moyer own some of the loveliest Airbnbs desired by many. The most adorable pets live together with the couple in their 1540 sq. 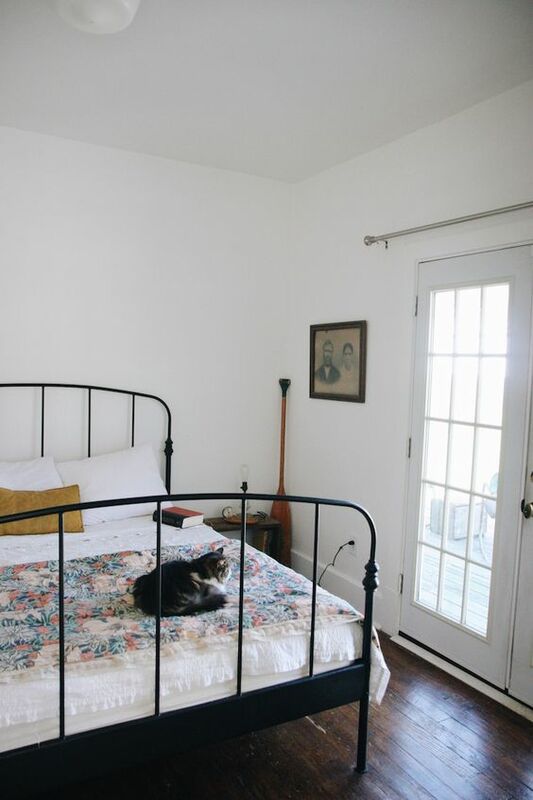 ft. abode in Nashville, TN which likewise has the most beautiful interiors. 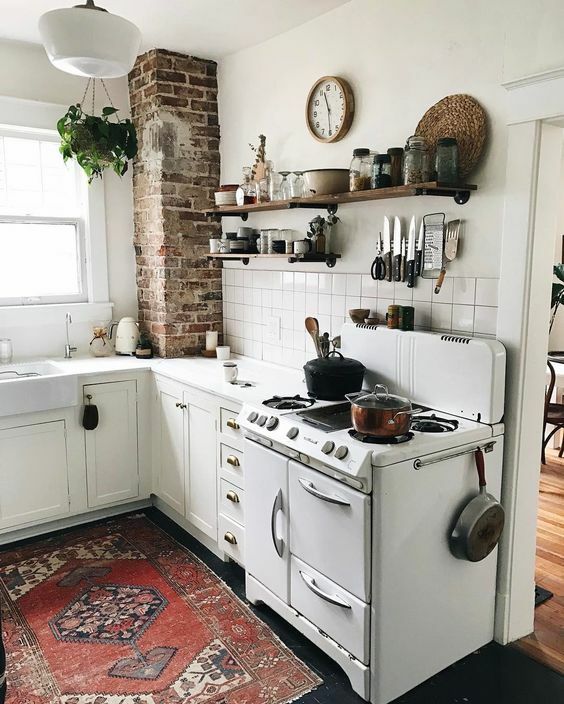 Gorgeous elements comprise the home, including exposed brick, distressed wood and open shelving. The place looks spacious enough to freely move around with its predominantly white walls and cabinetry. Rustic wooden flooring and furniture touched by natural light passing through tall windows along with plantlife liven up the surroundings. Their environment elicits a super relaxed vibe within a cozy and comfortable apartment space. The secret is that there’s really not one thing in focus when it comes to style, rather change is constant. 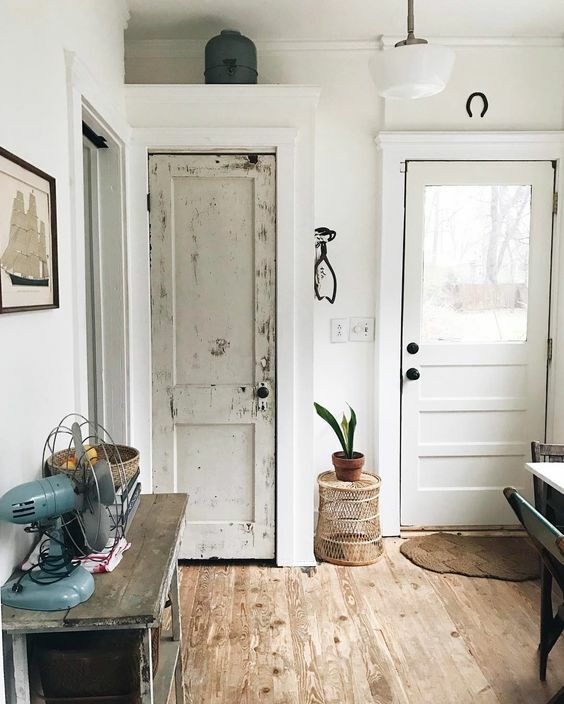 The home’s design is ever-evolving as time goes by upon throwing in what they like and letting go of other things. Their cats somehow affect the way it’s been styled, such as having limited plants as to which soil they chew and dig. The greens are mostly hanging and pots kept There are also more wood and leather features rather than fabric like tweed which tends to become a scratching heaven. 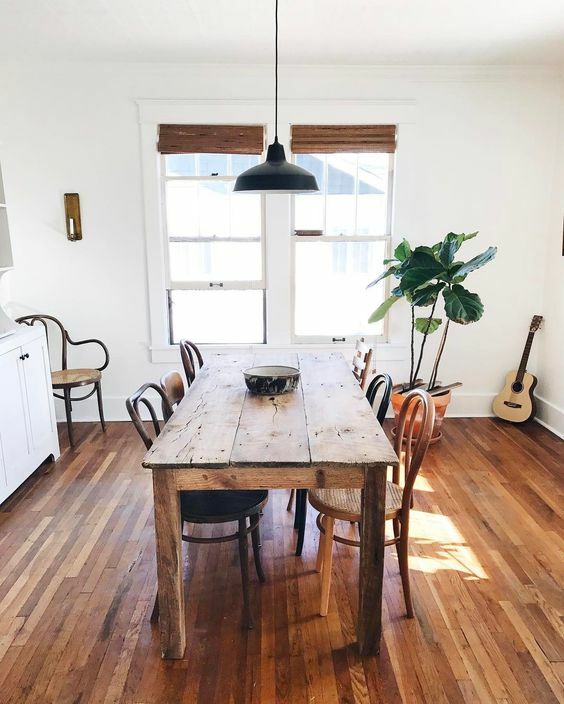 On decorating rooms, Kaitie tells how they start off with wall paint then furnish with huge pieces like a sofa or something bound to be the focal point. 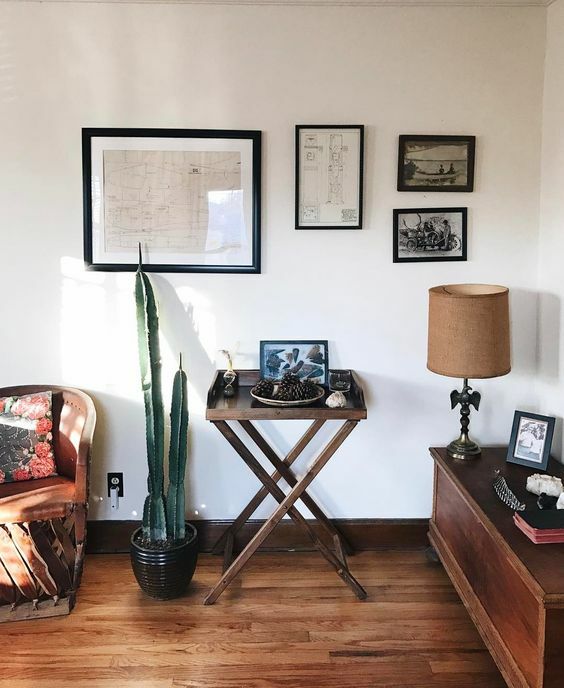 Filling in the rest of the room comes easy with personal decor choices acquired from antique shops, Craigslist, and flea markets. 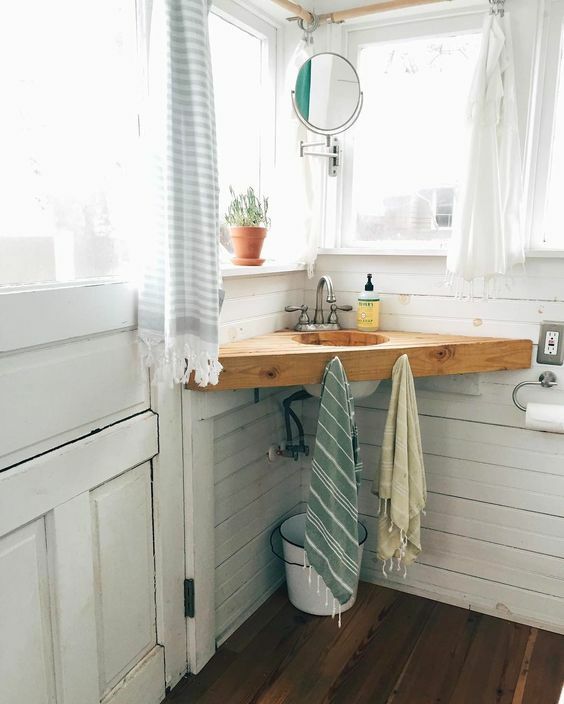 Basically, it’s all things vintage, homemade or pre-loved items that altogether produce a unique look like no other. A leather couch sits at the center of the living room, set across a wooden table to match the textured window accents and brown shades seen throughout the home. 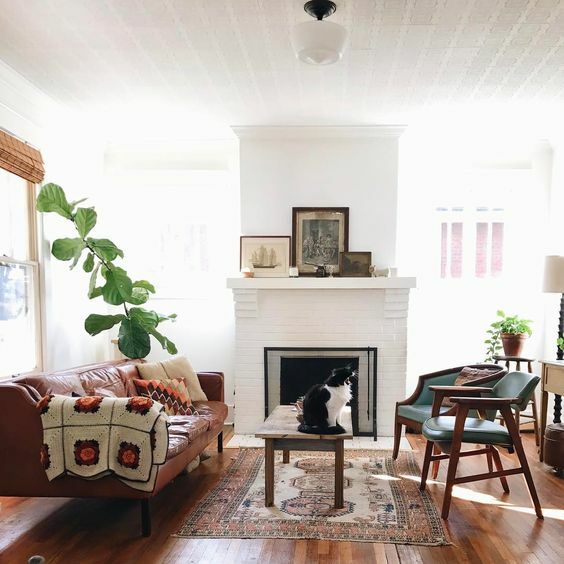 The charming rug and pillows endow pattern while the fireplace adds warmth to the bright and welcoming room. The couple’s favorite area? Nowhere else but the heart of the home, where 99% of their meals are prepared and eaten right in the kitchen. Black flooring contrasts and at the same time perfectly complements the white countertops and tiles. Mismatched chairs grace a distinct appeal to the dining room that’s lit by a simple lighting fixture in modern black. The bedroom frame alongside the French door arrives in the same elegant color, as well as the attic bedroom door which opens up to a stunning white-themed room. A similar rustic feel is felt with the wooden frame, distressed furniture and notable brick structure.